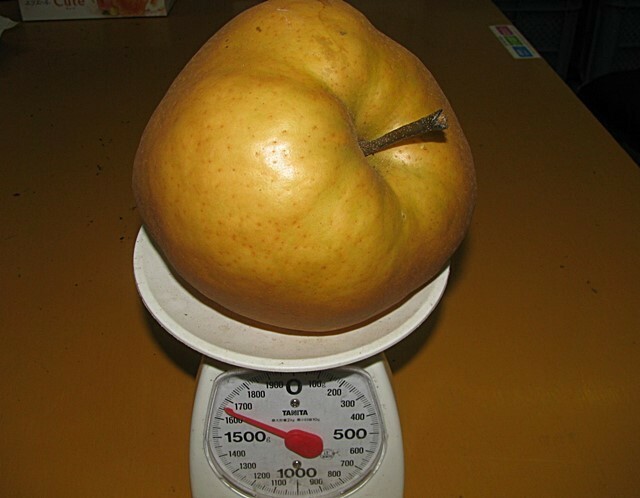 A pear is delicate fruit. Depend on the management and weather, they said "It will never be produced next year". "Never having fruit""Never produce"......this is terrible thing. Because they will have no harvesting income. 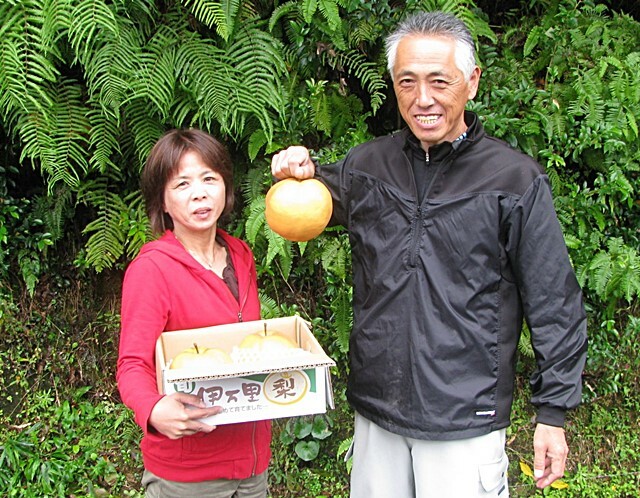 Nvertheless, Mr. Maeda harvests every years. I can not count the number of his hardships. At first he is particular about manure. 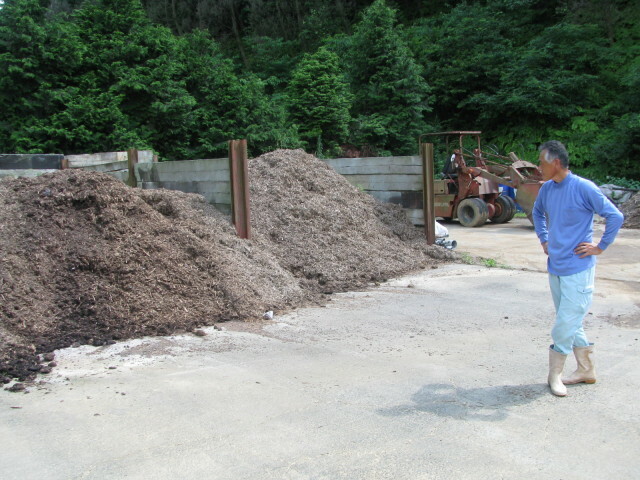 The making of homemade organic farmyard manure which is faithful to "Shimamoto microbe agricultural methods" is it. Next,the insect repellent is interesting. They say they mix pyroligneous acid and garlic and a red pepper. Although I have imagined the sauce of the roasted meat at all, it is a terrible smell. He uses no chemical herbicides, he does not forget even 1 mowing a month. And the heaviest task during a year is the pruning of the branch in winter. 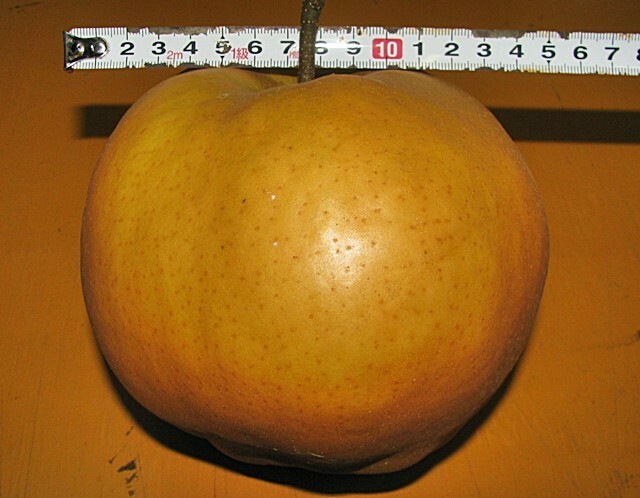 In order to make a ratio of leaves and fruit 25 : 1, to let branches lengthen horizontally on the shelf without letting branches lengthen vertically, the work of pruning and adjusting branches and task to be called fruit thinning of unnecessary fruit after the flowering fruition are important. For the farmhouse of pears, the happiest work through a year is harvest. 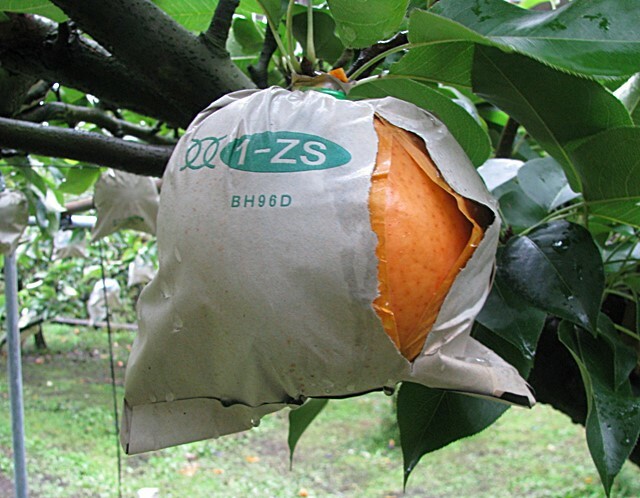 On the other hand, heavy tasks are also harvesting, they said.It is Maeda's house which does not conduct a pear hunting business to protect the original shelf. As you see, a person whose tall is about as tall as his wife, less 160 cm, is suitable for harvesting task. His husband about 180 cm tall makes his head onto ceiling, and so his spine would be bent. I was able to see it very happily. 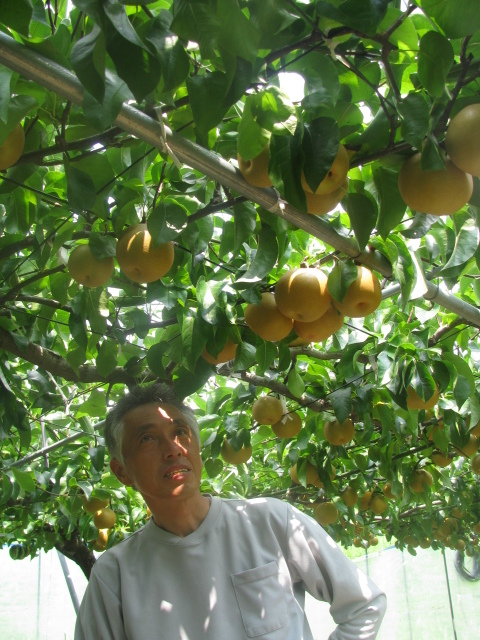 Everyone, these are Mr.Maeda's house's "Imari-pears" which have many originarities. Please try to buy at any cost.